"Sir, you attract more skinheads than free Rogaine. You have more people marching against you than cancer. You talk like a sign language gorilla that got hit in the head. In fact, the only thing your mouth is good for is being Vladimir Putin’s c--k holster." As ardent supporters of the free market, we believe in the benefits of free choice and competition. We are free to spend our hard-earned dollars on products and services of companies that do not support the type of vulgarity that CBS condones and that its advertisers and sponsors are helping to support financially. Americans understand that the decision of advertisers to continue purchasing ad time on The Late Show is the decision to support and underwrite this crass commentary. If The Late Show's advertisers choose not to take their business elsewhere, we, the undersigned, will take our business elsewhere. 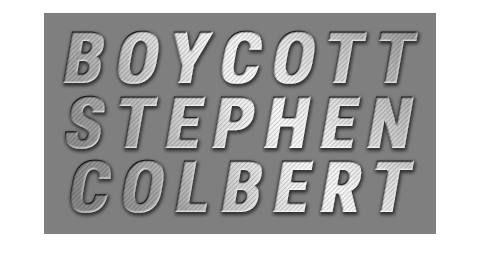 We ask that CBS fire Stephen Colbert and that the show's advertisers pull their support until he is fired. Both actions are necessary to assure Americans that CBS and its corporate sponsors are committed to keeping vulgar and indecent language off network television. 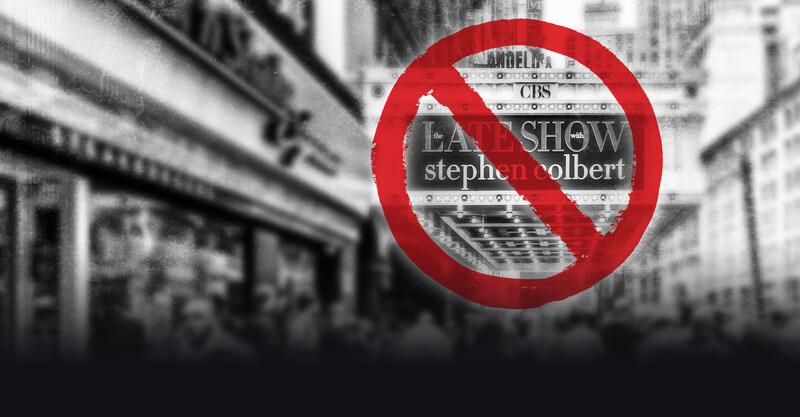 Thank you for signing Tea Party Patriots' pledge to boycott CBS and advertisers of The Late Show with Stephen Colbert until he is taken off the air. We need your support, so we can get this petition in front of as many patriotic Americans as possible so we can send a resounding message to CBS. Please help with your very best gift, right away. No thanks. Let me share with my friends. Tea Party Patriots Action, Inc. operates as a social welfare organization under section 501(c)(4) of the Internal Revenue Code. Contributions to Tea Party Patriots Action, Inc. are not deductible as charitable contributions for income tax purposes. Petitions are most effective when everyone gets on board. Help get the message out by sharing on Facebook and Twitter. Or send an email to your friends who may want to help change our government for the better.